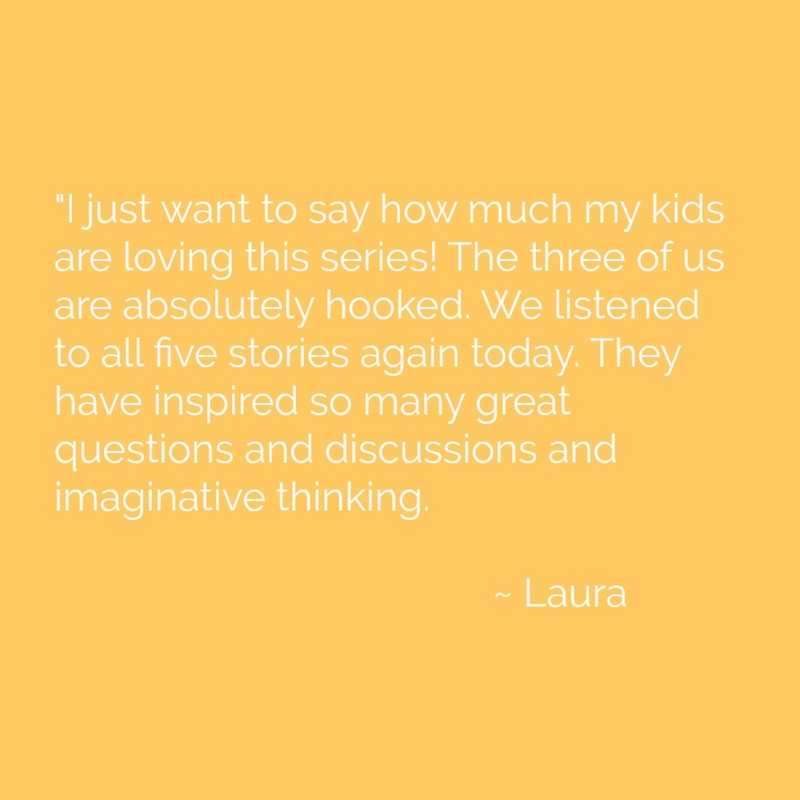 "I just want to say how much my kids are loving this series! The three of us are absolutely hooked. We listened to all five stories again today. They have inspired so many great questions and discussions and imaginative thinking. My son, almost seven years old, said today, “All the pirates are girls!” It led to a fantastic talk about why he thought that was, gender roles in other pirate stories, and why you guys are so amazing for creating a crew of all girl pirates!